Once in an episode of Happy Days, Arthur ‘The Fonz’ Fonzarelli jumped over a shark, on water-skis. It was an iconic television moment. Not for its brilliance. Rather, as coming to represent the exact moment a show passes its prime. In the name of chasing ratings, over the years audiences have bared witness to time-travelling smoke monsters, overplayed gay stereotypes (Will & Grace/Modern Family) and recently Steve Tyler judging Idols’ contestants. Back in 2008, after three seasons of comedic gold, ‘the wealthy family that had lost it all, and the one son who had no choice but to keep them all together’, were taken off air. 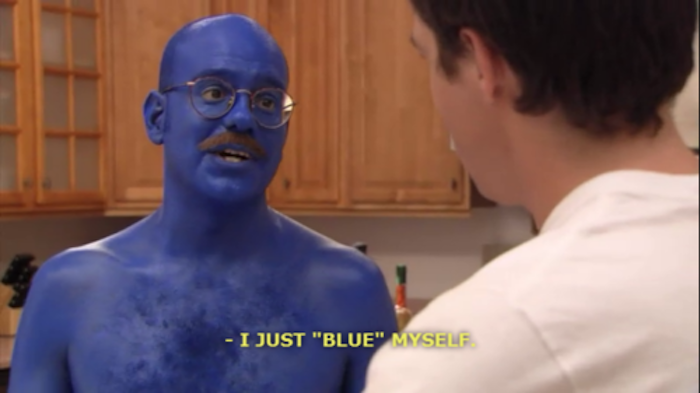 Cut down in its prime, Arrested Development would go off air years before coming close to ‘jumping the shark’*. 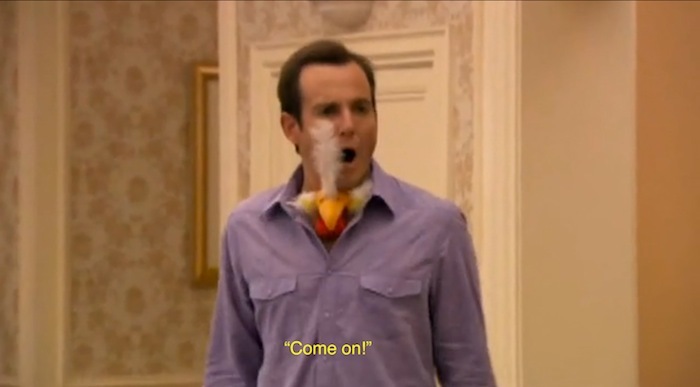 Despite six Emmy awards, a Golden Globe and critical acclaim throughout the series, the highly flawed Nielsen Rating’s system would be Arrested Development’s downfall. Unsurprisingly this gauge of middle-American TV audience preferences consistently showed poor ratings for the multi-layered series, which displayed levels of intelligence more akin to shows from its over the pond counterparts. It soon became evident Fox network had made ‘a huge mistake’. The show developed a cult-following around the world, predominantly driven by college stoners, downloading the series long after it originally aired. This was essentially the problem that plagued its brilliance – live broadcasting should never have been its intended medium. Despite only coming on air a decade ago, the show moved at a far too quick pace for TV audiences. It was ahead of the technology curve. Fortunately, the Internet has finally caught up with the Bluths and yesterday the culmination of a five-year wait came to an end. In a deal indicative of a growing trend in television, Netflix, the online-streaming channel recently responsible for the political drama series House of Cards – provided both the capital and platform for the new 12-episode season, which will be released in one ‘big load’. Mitch Hurwitz, creator of the series, explained in a recent interview with Rolling Stone, the arduous process of getting a cancelled show back on air. Choosing to film the new episodes as an ‘anthology season’, with character-centric episodes, a large portion of the new season was filmed on green screens allowing for scheduling conflicts amongst the show’s now highly successful cast. 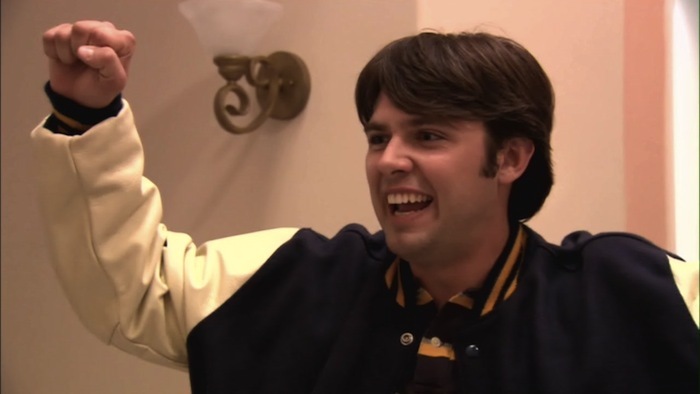 * Technically the show does ‘jumps the shark’ in a scene with Henry ‘The Fonz’ Winkler himself – just another example of AD’s layered brilliance. 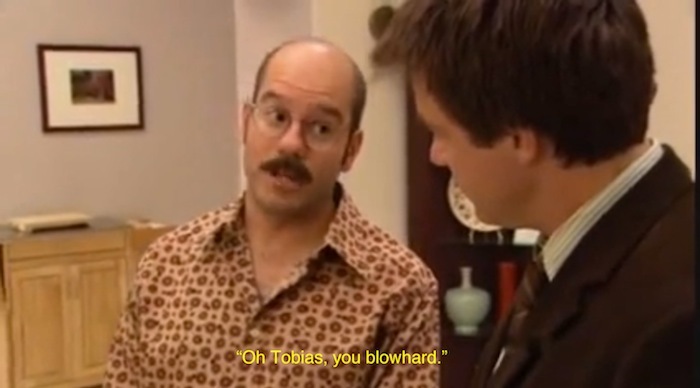 Bob Loblaw. Nevernudes. A more retarded than usual Charlize Theron. This show has it all.